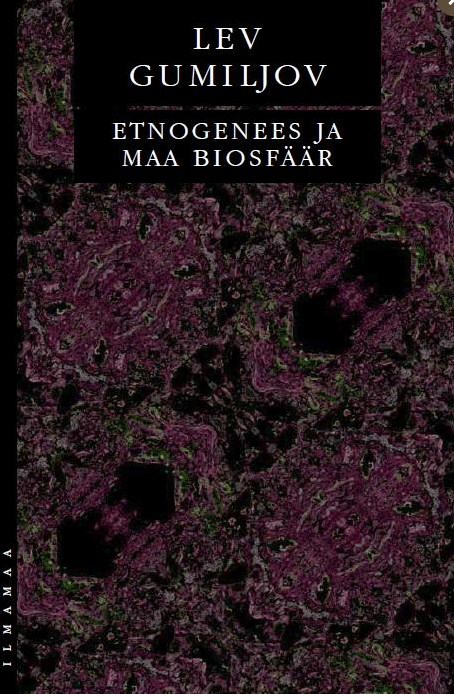 The publishing house Ilmamaa recently released the Estonian translation of the magnum opus by the Russian historian, ethnologist and geographer Lev Gumilyov, Ethnogenesis and the Biosphere of Earth, with an afterword by Peeter Ernits. 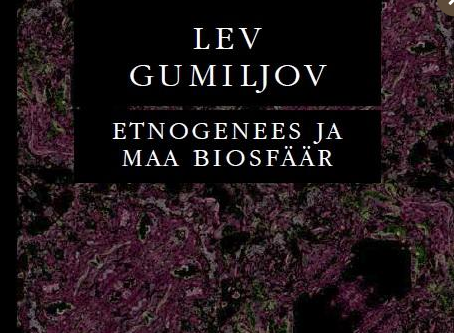 Ethnogenesis and the Biosphere of Earth, Lev Gumilyov. Translated into Estonian by Peeter Villmann. Tallinn: Ilmamaa, 2018. 848 pp. Lev Nikolayevich Gumilyov was born in 1912, a son of Nikolay Gumilyov, a military officer and famous Russian poet from a noble family, and Anna Akhmatova, an equally celebrated poet. He received a good education as a child, which included learning several languages. It is said that, by the end of his life, Gumilyov spoke several dozen languages, most of them of oriental. Peeter Ernits has written in detail of Gumilyov’s life in the book’s afterword, but we will list a few facts here. Gumilyov did not have it easy during the Soviet era. 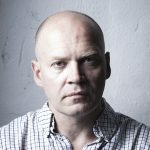 He was arrested several times and apparently released only because his mother—Stalin’s favourite poet—pleaded for his life to the Great Leader. Nevertheless, Gumilyov was sentenced to Gulag labour camps twice (for a total of 13 years); he began to develop his ethnos theory in the multicultural environment of these camps. During World War II, Gumilyov fought in the Red Army, and marched all the way to Berlin, but this did not save him from further arrests and persecution. Gumilyov’s life could have taken a very different path, if it were not for some Moscow professors, who saw him as a rough diamond and decided to employ him. Thus, Gumilyov was able to go on archaeological and ethnographic expeditions to Soviet Central Asia and southern Siberia, which gave birth to his love for the Turkic peoples. Gumilyov ended up with two doctoral degrees—in archaeology and geography—and was an active writing and publishing ethnologist, historian and polyglot. Gumilyov mainly created and developed his ethnos theory in the 1960s and 1970s. He connected theories from natural sciences to those of the humanities, based on the idea of Eurasianism created by Russian expatriates in the 1920s. Gumilyov’s central concept is that of the ethnos. He connected it to the biosphere concept promoted by Academician Vernadsky and came to the conclusion that the ethnos is like a human being: it has its own character, childhood, adulthood and waning period. As people are part of nature, peoples must also follow the laws of nature. Of these, the most important is “passionarity”, or the vital energy of the ethnos. Passionarity is connected to geography—in other words, ethnic groups that developed in certain climatic and geographical conditions “adapt” to their environment, find their “ecological niche” and become part of the energy of their living environment. Each ethnos has its own “behavioural stereotype”, which is passed down from parent to child, and could be considered a national mentality. These stereotypes are like animal reflexes that ensure the preservation of an ethnos. In time, an ethnos develops its own civilisation, which includes religion, manners and norms. Gumilyov was never able to explain whether or not a civilisation is a biological phenomenon, but he claimed that people of different races could be part of the same civilisation. It is the claim that any ethnic group can claim to be a civilisation that has made Eurasianism so popular nowadays. Ethnos groups form cultural areas, or “super-ethnos”. Gumilyov focused on the opposition between Eurasian and Western super-ethne, but his book also has a place for e.g. the Chinese super-ethnos. There are, however, ethne that do not stay still and instead move around and invade the living space of others. As a rule, these ethne do not integrate into a new culture and try to break it down. These ethne are called chimeric and, even though Gumilyov does not say so, this mainly refers to Jews. Gumilyov used the concept of the super-ethnos to find an optimal collective life form for the Eurasian culture. For him, it was neither the Tsarist nor the Soviet power, both of whom are unnatural and enforced. However, he was still convinced that the ethnic groups living on the territory of the former Russian Empire belonged together, based on the inevitable laws of ethnogenesis. There are several reasons that Gumilyov’s ethnos theory is popular. I asked several of my colleagues in Estonia and Russia who began their research careers in Soviet times about it. They said Gumilyov created a new perspective in handling ethnic groups. The Soviet theory of ethnos was materialistic and held that the distant outcome of ethnic processes was the creation of a new homogeneous Soviet people. Gumilyov claimed the opposite—an ethnos cannot disappear per se, as it is tied to geography and energy. The vital energy or passionarity of the ethnos can have different interpretations and uses, according to one’s preferences. In addition, Gumilyov heroised “Eurasian” ethne, claiming that even though the Western super-ethnos might be materially more developed, it was still a degenerate mass of people who will one day be put in their place by Eurasians, who are greater in spirit and passionarity. At the same time, Eurasianism is inclusive—it propagates the cultural closeness of some ethnic groups, and a common fate that seems to be dictated by nature. In addition, the idea of Eurasianism can have several interpretations and uses. Nazarbayev’s interpretation is a modernist one, while the Russian one is more conservative. A development of Eurasianism has led to Dugin’s ethno-facsism, which propagates the Russian people’s special mission in opposing the West, while Kazakh and Tatar intellectuals use it to fight against Islamic fundamentalism. Last but not least, the theory of Eurasianism was critical to the Russian Empire, and through it also imperial mentality and authoritarianism. The fact that Gumilyov wrote in simple, understandable language and with a long-winded style doubtless adds to all of the above. In the book, he keeps returning to the already discussed topics and repeats them in a different form. This explains why his books are read and understood (in their own way) by people of different professions and levels of education. Gumilyov’s ideas are very much alive. Nowadays, his heritage is being kept alive and popularised by the non-profit Lev Gumilev Centre, which has its headquarters in Moscow and branches in St Petersburg, Baku and Bishkek. Elista, the capital of the Republic of Kalmykia, has a street named after Gumilyov, Kazan (the capital of the Republic of Tatarstan) has a monument to him, and there are busts of him in Moscow, Ufa and Yakutsk. One of the most important universities in Kazakhstan is named after him, as is a peak in Kazakhstan’s Altai Mountains. 1 M. Bassin, The Gumilev Mystique: Biopolitics, Eurasianism, and the Construction of Community in Modern Russia. Ithaca, NY and London: Cornell University, 2016.